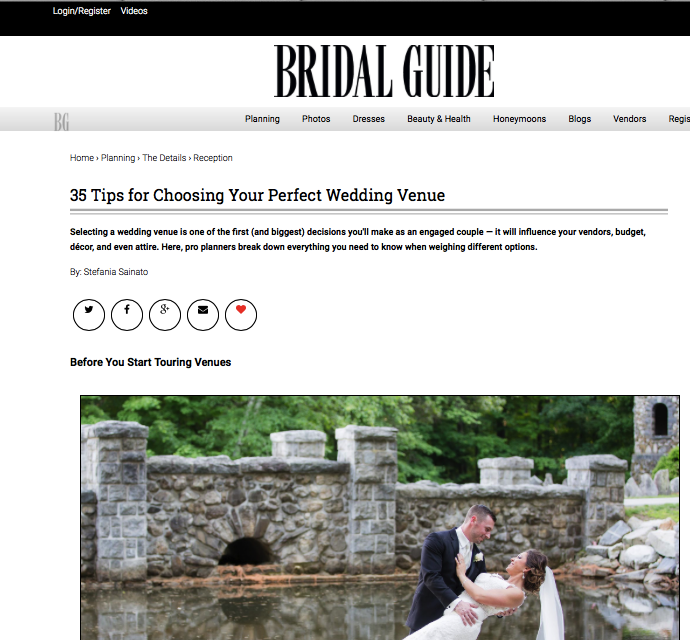 Earlier this week, we shared advice on Bridal Guide Magazine for finding your perfect venue. This is one of the biggest and most important decisions a couple will make for their wedding. Your wedding venue will make a huge difference in setting the tone and shaping the day. 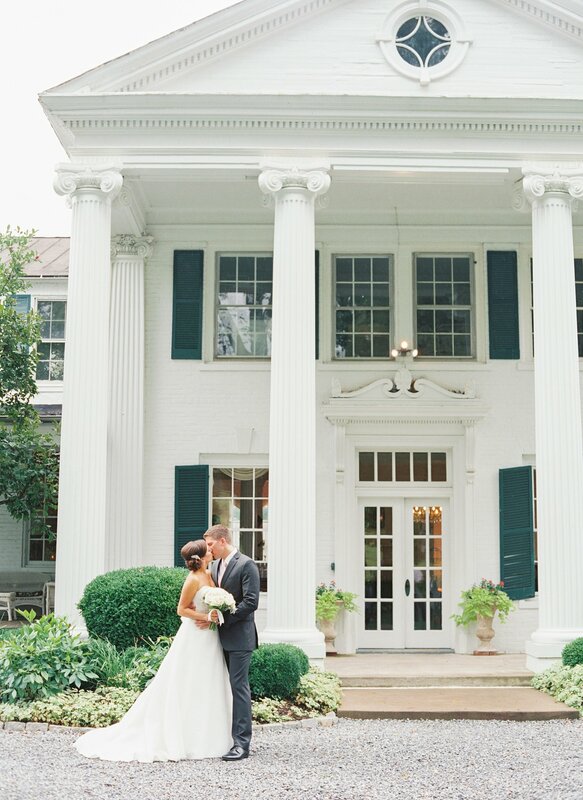 Head over to Bridal Guide Magazine to see the full post: 35 Tips for Choosing Your Perfect Venue! Sit down with your fiancé and discuss your overall budget. Check out local blogs and magazine to see photos from real weddings to get a sense of what venues look like. Choose your date / season and potential dates. Factor in your wedding style and seek out venues to match your vision. Decide if you are looking for a venue that is all inclusive or a venue that allows you to bring in your own vendors. Search in your area for the types of venues available. In the Washington, DC region we have it all from museums to chic hotels, urban lofts or rustic vineyards, waterfront properties, farm venues and mansions in the city. Think about the other weekend events (if applicable) and choose a venue that could accommodate those needs. If you will have ceremony, cocktails dinner and dancing at the same venue, make sure to look at venues with appropriate spaces for all your wedding needs. Set up appointments to visit a few top choices before deciding. Pay attention to lighting when thinking about season and time of day you will host your event. Consider other factors such as transportation and/or weather. Ask to see a sample menu and/or contract before choosing a venue. Ask about venue rules, restrictions and contract policies before putting down a deposit. Make sure you clearly understand what is included or not included before moving forward with your venue.